This week’s freeware is Google Picasa. I know that al lot of people already know about Picasa but I just want to get it out there and let everyone know about it. Google Picasa is a photo organizer and editor. It has amazing ability to organize your photos and also movies. 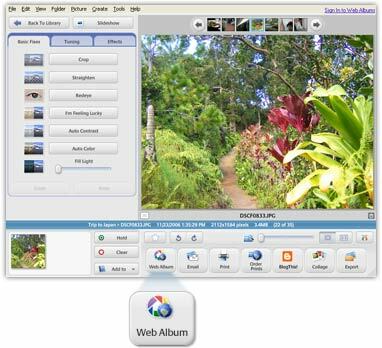 You can even customize how you want Picasa to display and categorize your photos. Google Picasa has some very useful photo editing features such as brightness adjustments, cropping and much more. Also, you can make great looking collages with your photos. Google Picasa is free to download and use and has great integration functionality with Google Web Album. You can easily upload your photos and videos to your Web Album (which is a free Google online photo storage service) within a few clicks. To download and find out more about Google Picasa, please click HERE. MusicBridge is a program that helps you to sync your digital media information and data such as song ratings and the number of times a song is played from one Media player to another. In addition, it can help move those ratings and info from one computer to another. MusicBridge works well with iTunes and Windows Media Player. Also MusicBridge can regularly update those ratings. 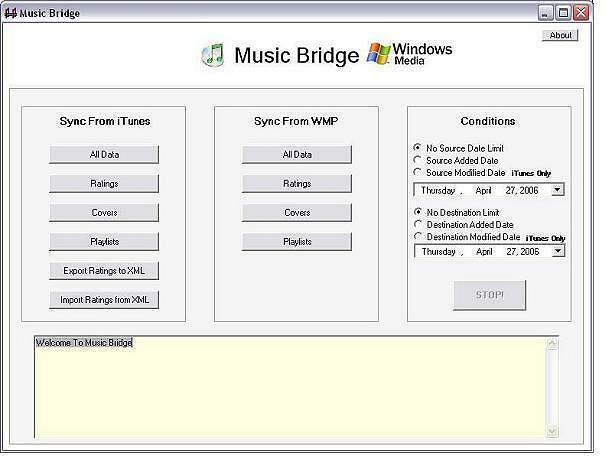 MusicBridge is compatible with both Windows XP and Vista. Although MusicBridge does not have an official website, you can download it from download.com. Please click HERE to download.